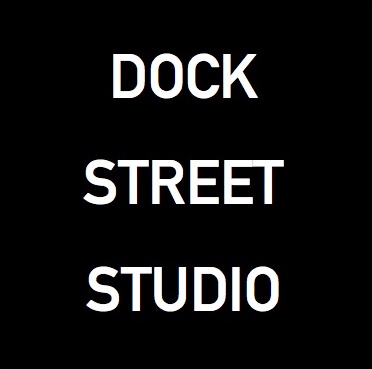 "High-spec recording studios in East London"
There is plenty to do around Dock Street Studio, as it's located right between East London (Brick lane, Shoreditch, Spitalfields) and Tower Hill (Tower Bridge, Borough Market, Tower of London) and so all that both have to offer is at your feet. If it's culture you want, look no further than the very large castle a 10 minute walk from the Studio. See the Crown Jewels a collection of 23,578 gemstones that is truly bling for a king, the Beefeaters, the prison of the Tower of London and even the gruesome torture dungeons. Just a short walk across London Bridge, you can explore this historic warship to discover what life was like on board for the crew at war and at sea in WW2. Lots of big guns, mixed with a beautiful panoramic view of the Shard, and the Tower of London from the water. What could be better? Walk across Tower Bridge and find one of the largest and oldest Markets in London. Borough Market has been selling food since 1851, and it still tastes great. A 15 minute walk north of the studio, past the wafting fragrances of the curry houses of Brick Lane is Spitalfields market. You can get anything here, from antique Vinyls, to vintage clothes, to pop up 3D postcards. Theres also always something good to eat being cooked up too. At 306m tall, the Shard is London's highest and best view. At almost twice the height of any other viewing platform in the capital, it offers visitors unparalleled 360-degree views for up to 40 miles. A scenic 20 minute walk across Tower Bridge and past the mayors office will take you there. Well worth a visit. One of Tripadvisors top rated 'Things to do in London' is this speedboat rental, which conveniently has its headquarters a 10 minute walk from the studio, by St. Katharine's Docks. You will see all of London's lankmarks as you fly by at speeds of up to 40mph. Thrill-seekers look no further. Bellavita is next door to the studio, and it's fair to say that we got pretty exited when it opened. Freshly made and cooked italian pasta, pizza, baguettes (with any choice of filling), coffee and gelato are all now a 10 second walk from the Studio front door. Bellavita also has lots of specialist italian ingredients for the more daring cooks among you, who may want to take some supplies back and cook up a feast in the studio kitchen. Pret is a very short 1 minute walk from the studio, and has a great selection of Vegetarian and Vegan options for those who need it. If you need to make the most of the day in the studio and want a quick and healthy meal, this is the way to go! St. Katharine's Docks are a 3 minute walk from the studio and have a wide range of restaurants and places to drink. The Dickens inn is three floors of different food and good drinks. The restaurants include Emilia's Crafted Pasta, ZIZI, Tom's Kitchen, PingPong, The Medieval Banquet, Bravas Tapas, CAU, Cote Brasserie, Kilikya's and many more. The St.Katharine's Docks Cafe also does an excellent full english breakfast with a view over the marina, if you need revitalising after a long night in the studio. We're very lucky to have such a good selection of supermarkets around us. Waitrose is the biggest by far, and the closest at just a 3 minute walk from the studio. This is a full size supermarket, with a bakery section, fresh Deli counter and pretty much anything you need. Whether you're buying a ready-made snack, or a series of ingredients to cook up a feast back at the studio kitchen.